New York City, with a population of over 8,100,000 residents, is by far the biggest city in the U.S. Its population is well over double that of Los Angeles, which has approximately 3.8 million residents. As a result of its sheer size and variety, New York is home to some of the most expensive real estate in the world. Corporate executives, athletes, entertainers and other such high-profile earners elect to take up residence in New York’s famous historic buildings and penthouses. One area of great prosperity and affluence in the city is Central Park West. Central Park West is a small stretch of road in one of Manhattan’s swankiest districts and features some of the most expensive real estate in the world. Among its many famous luxury apartments include the The Dakota, the former home of John Lennon, and The Majestic, which was once the residence of famous crime boss Frank Costello. One famous listing was recently snagged by actor Bruce Willis, made available by Wall Street mogul and Milwaukee Bucks owner Wesley Edens who listed the exclusive property at $17,000,000. Most housing cooperatives in this idyllic thoroughfare were built around 1930, replacing late 19th century hotels with the same names. Some notable landmarks along this stretch include the American Museum of Natural History, the New York Historical Society and Tavern on the Green. Perhaps the most luxurious apartment on this street is the San Remo, which was built by eminent architect Emery Roth. It is extremely spacious and features eleven-foot ceilings. Its main feature is its two remarkable tower units that overlook the city. The building is designed to be served by two separate lobbies, both of which are conveniently accessible to residents. Also designed by Emery Roth is the Beresford, a 23-floor apartment building that was open for residency in 1929. 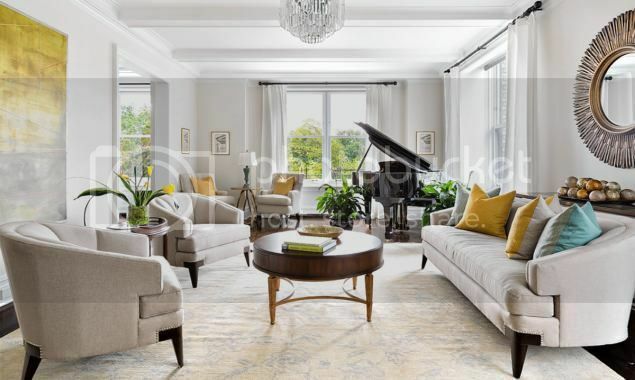 The Beresford is currently the largest apartment unit in Central Park West, and it boasts of listings as high as $62 million. Located in a prime area overlooking Theodore Roosevelt Park as well as Central Park, residents can enjoy fantastic views as well as plush amenities. The Langham, meanwhile, was built in the Second Empire architectural style in 1905. It is famous for its French-style mansard roof architectural features and its ornate trim. While not as stylish or expensive as its luxury counterparts, the Langham still adds a touch of Old-World finesse to the district. Famous past residents include Mia Farrow and Carly Simon. Most well-known among New York’s luxury real estate is the Dakota, the former home of Beatle John Lennon and the location of his murder. The building stands out for its abundance of Old World balconies and balustrades, which are characteristic of a Renaissance style of architecture. The Dakota occupies a place of distinction on the National Register of Historic Places. While it was originally mandated that no two rooms in the Dakota could appear alike, renovations begin in 2013 and are ongoing to this day. Many famous actors and actresses have taken up residence in the Dakota, including Judy Garland, Laruen Bacall, Boris Karloff and Leonard Bernstein. With some of the most prized architecture in the world, along with buildings that boast a rich history, it's no wonder that New York is home to some of the most expensive real estate ever built. That lovong room space is to die for! I love how spacieus it is. New York has a lot of beautiful houses, or flats. The houses mostly have modern interiors too.